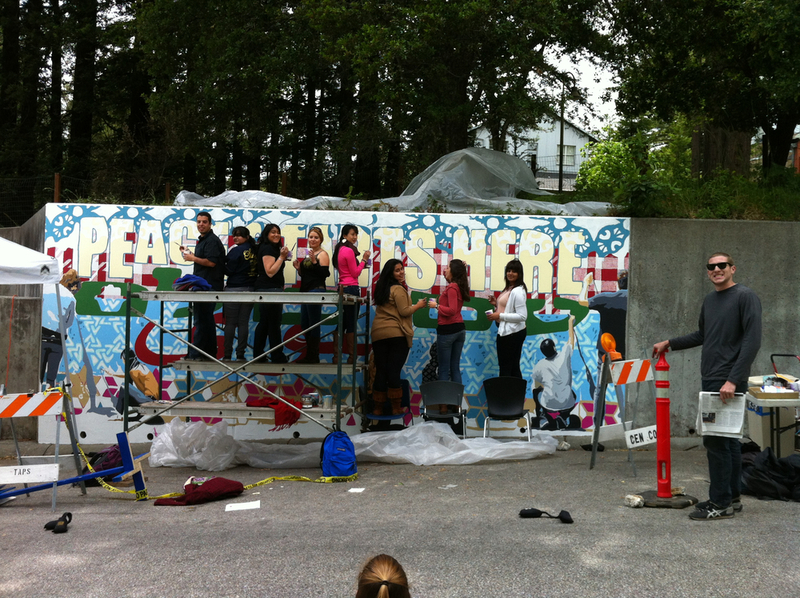 The design process for the mural began many weeks before the artwork was actually produced. An open invitation was sent to students and others affiliated with UCSC to participate in an on-line design process. Many individuals, including participants from a student-led College Nine course on Israel and Palestine, began by uploading images of their own Middle East narratives to a shared Flicker account. The account was made public and open to the entire UC Santa Cruz community; anyone could upload images and ideas and share their input. Outreach methods included flyers, email announcements, a Facebook page and word-of-mouth. With the goal of casting a wide net, contacts ranged from student organizations to faculty teaching classes that might be interested to email networks. The final design chosen by the community was a culmination of the images uploaded onto the Flicker account and a response to the feedback that had been generated online and in a final planning meeting. 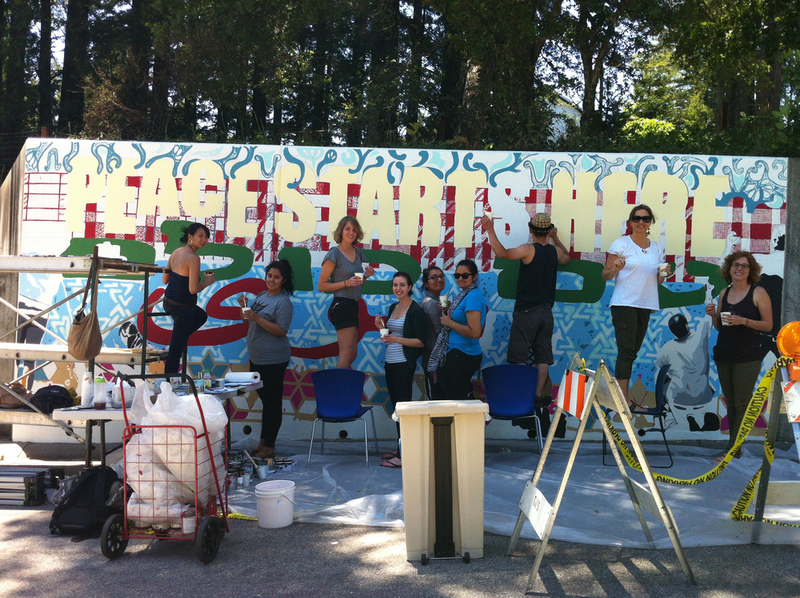 The artwork depicts actual students from the UCSC and College Nine communities painting the mural they helped design. 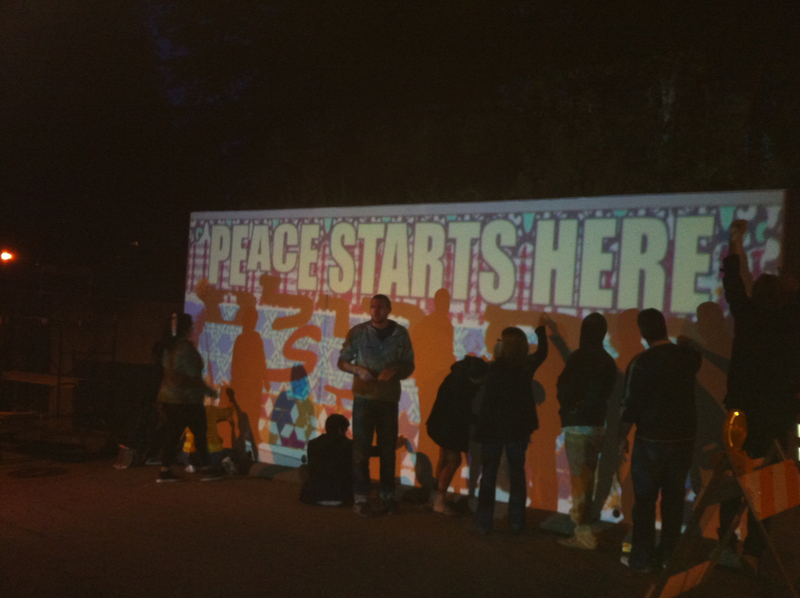 This element was chosen to make a statement about the fact that Peace starts with people working together and taking action, and it is specifically starting at UC Santa Cruz, as the mural is being produced. 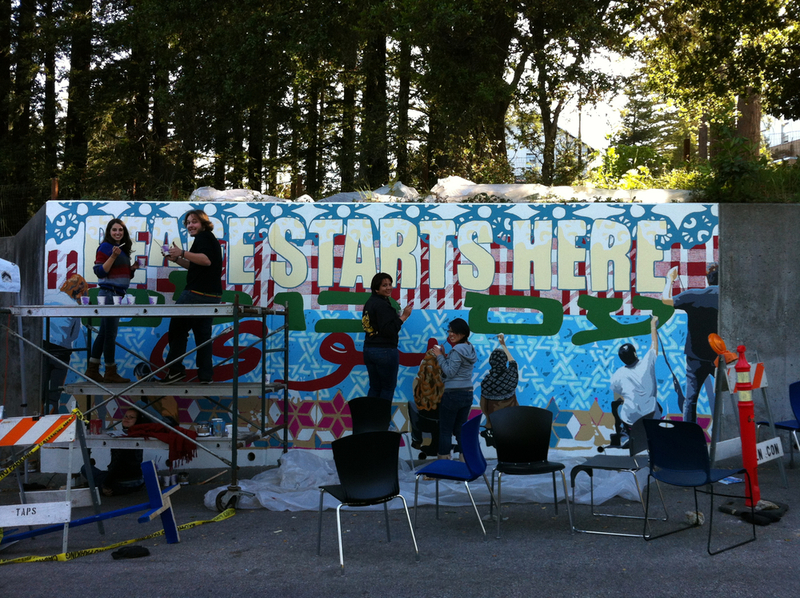 The mural states “Peace Starts Here” in English, “With Everyone” (Eem Koolam) in Hebrew and “Together” (Saawa) in Arabic. The background of the mural is a culmination of patterns and textiles found in both Islamic and Jewish culture and art. 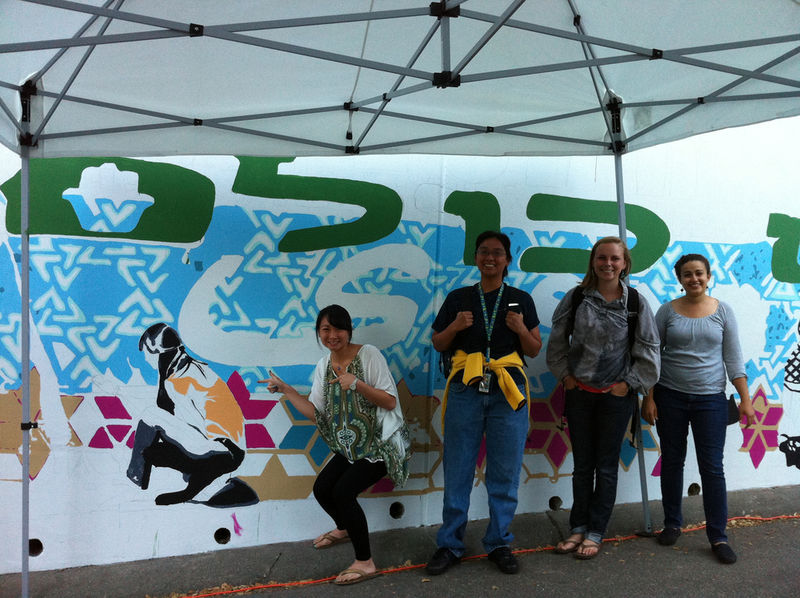 The mural generated a very large amount of participation from students, to staff and faculty, to unaffiliated tourists of Santa Cruz. Participants worked hours on end in the blazing sun to create this giant, colorful gift for their community for years to come. The outcome is a beautiful, permanent reminder of the goals and ideals of College Nine (International and Global Perspectives) and College Ten (Social Justice and Community), and their commitment to dialogue and building understanding.